Toyota Yaris was launched last year in India. Toyota Yaris sedan was launched in May last year. It entered the segment which was dominated by the likes of Maruti Ciaz, Honda City and Hyundai Verna. This segment accounts for about 12-15k monthly sales on average. In the initial months, Toyota managed to sell an average of 2,000 units of Yaris every month. This was a decent number, and was as per their expectation as well. But in recent months, sales have declined drastically. 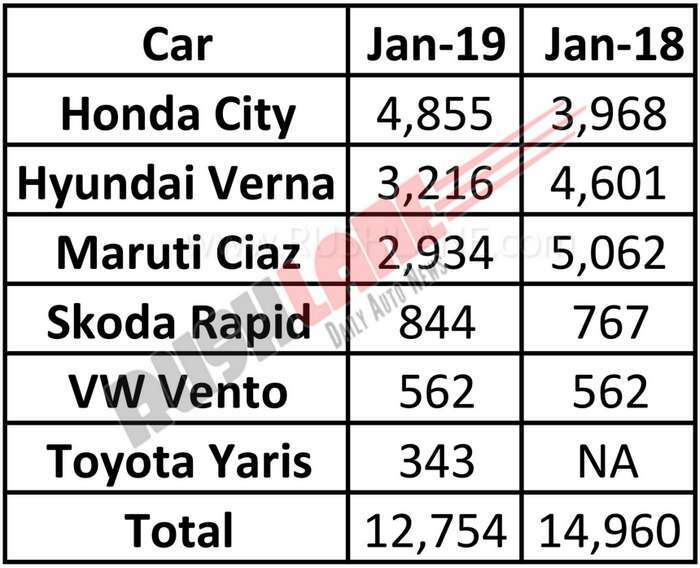 Jan 2019 saw Toyota selling just 343 units of Yaris. This was the lowest monthly sales number registered by Yaris ever since it has been launched. This makes Yaris the lowest selling car in the segment, even behind Skoda Rapid and Volkswagen Vento. 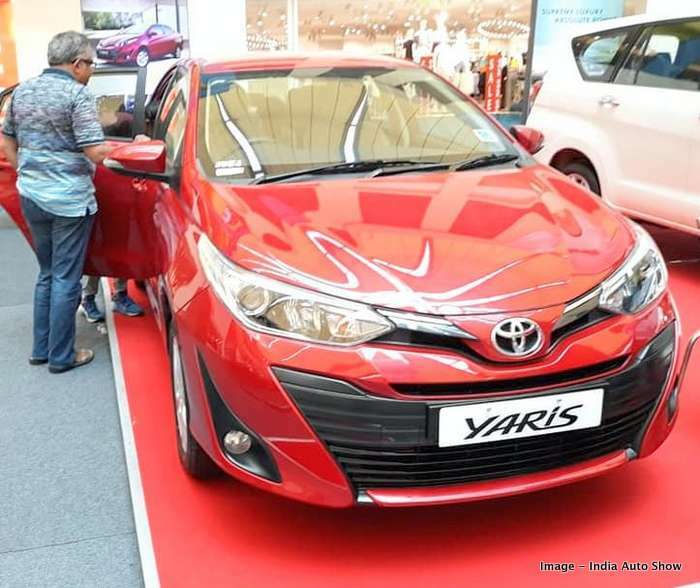 With Yaris, Toyota aimed to offer their customers a premium sedan, which sat above the Etios sedan in the company line-up. With sales not as per expectations, dealers are now offering huge discounts / benefits of up to Rs 1.5 lakh on the Yaris sedan. This discount includes exchange offer, cash discount, free insurance and accessories – total up to Rs 1.5 lakh. In addition, buyers will also get a gold coin on purchase of Yaris. This is a similar offer to what was presented by Nissan, who were also giving gold coins of different weights depending on the models purchased. Toyota Yaris is powered by a 1.5 liter VTVT-i petrol engine offering 106 bhp power and 140 Nm torque mated to automatic or manual transmission. There is no diesel engine on offer with the Yaris, though the company plans one in the future as all other competitors with the Yaris have a diesel variant on offer. Yaris is also the only car in its segment to offer front parking sensors, 7 airbags, knee airbag for driver, ambient lighting, gesture sensing touchscreen infotainment system and roof mounted AC vents, but even these fail to attract buyers. Disclaimer – Discounts are offered by dealers, and they vary from dealer to dealer, depending on the stock of old 2018 models. Please check with Toyota authorized dealers in your city for exact amount discount / benefit offered.